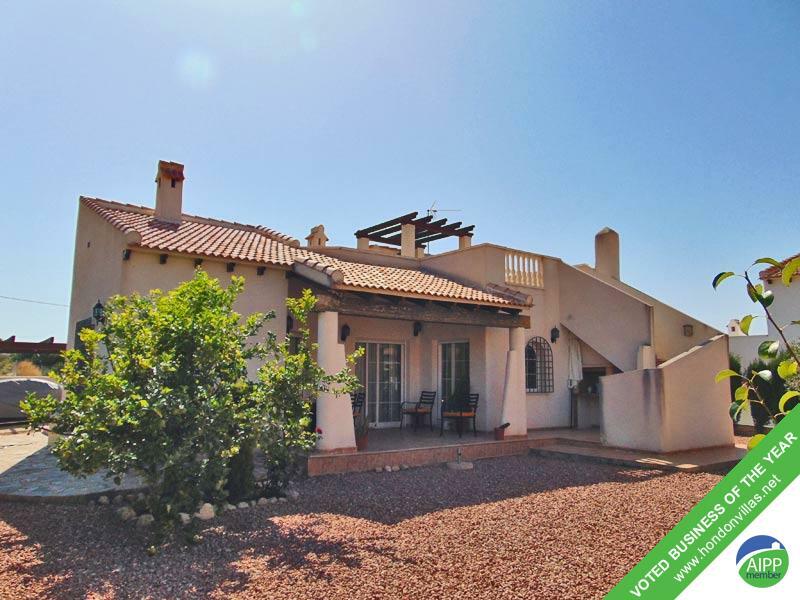 Hondón Villas are delighted to bring onto the market for sale this detached villa set on a large corner plot, located on a peaceful urbanisation close to the famous hot water spring baths of Baños de Fortuna, Murcia. You enter the fully fenced large 500m2 corner plot through a pedestrian gate with a double gate entrance to the left for vehicle. The gardens are private and well maintained with lots of space for outside dining. Through the main door you find a large open plan lounge/diner with feature fireplace and patio doors leading out to a covered terrace, looking over the gardens. To the left of the lounge there is a fully fitted kitchen with American style breakfast bar. Through the dining area you will find doors leading to a small shower/toilet room, a full family bathroom, and three double size bedrooms all with fitted wardrobes (the master having an en-suite facility). 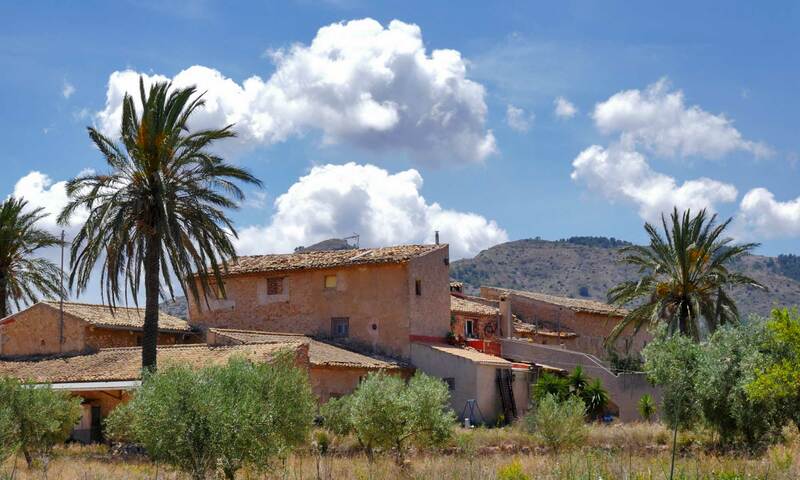 The property also has a large rooftop terrace boasting spectacular views of the surrounding mountain side, and also the possibility of an under-build. Located on a peaceful urbanisation with communal pools and within walking distance to the famous hot water spring baths and amenities, this really is a must view property!